CINCINNATI -- The United Way of Greater Cincinnati has hired a new CEO to lead the organization as it works to reduce poverty in the region. And he’s someone who lived in poverty himself. Michael Johnson, the president and CEO of Boys & Girls Club of Dane County in Madison, Wisconsin, will start his new job here on July 9. United Way’s board of directors hired Johnson after a six-month nationwide search to find a successor for Rob Reifsnyder. Reifsnyder has been CEO here for nearly 18 years and will retire from the job May 31. He helped grow the local United Way to the sixth largest in the country during his tenure. Johnson, 42, said he took the job here because of his own experience. He lived in what he described as “extreme poverty in one of the toughest public housing projects in the country” in Chicago for 23 years. He overcame not being able to read or write at the level he needed for success in college. But thanks to a neighborhood grocery owner who took an interest in him, and Johnson’s own determination, he got his associate’s degree and then bachelor’s degree from Chicago State University and then earned an MBA from the University of Phoenix. Julia Poston, the Cincinnati office’s managing partner at EY, led the search for a new leader as chair of United Way’s board of directors. She had the help of BeecherHill, an Ohio-based executive search firm, and a committee of community and board leaders. The board picked Johnson from more than 200 candidates. Johnson will be taking the helm at United Way as it works to take new steps to reduce poverty in the region. More than 100,000 families in United Way of Greater Cincinnati’s 10-county, three-state region are living in poverty, according to the organization, and that includes one out of every three children. 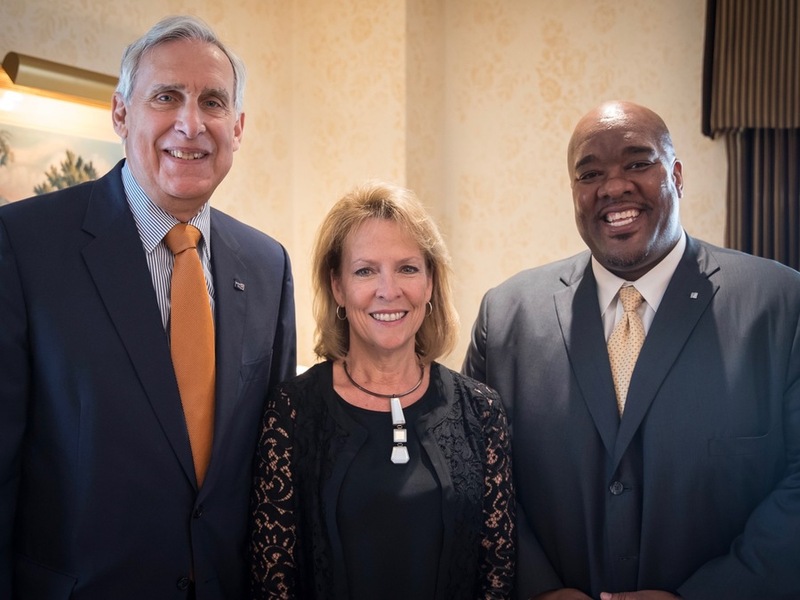 United Way has worked closely with the Child Poverty Collaborative , which has a goal of helping 5,000 Hamilton County families lift themselves out of poverty by 2021. And United Way’s board announced in December its goal of helping an additional 5,000 families from throughout the region. To do that, United Way pledged to invest 80 percent of its funds in programs that help lift children and families out of poverty. Another 15 percent will be directed to programs that help individuals out of poverty. United Way raised a little more than $60 million during its 2017 campaign, falling a bit short of its ambitious $62.2 million goal. Johnson has led the Boys & Girls Club of Dane County since 2010. He helped quadruple the number of children served there during that time and helped grow the nonprofit’s budget by 318 percent, according to United Way’s news release. 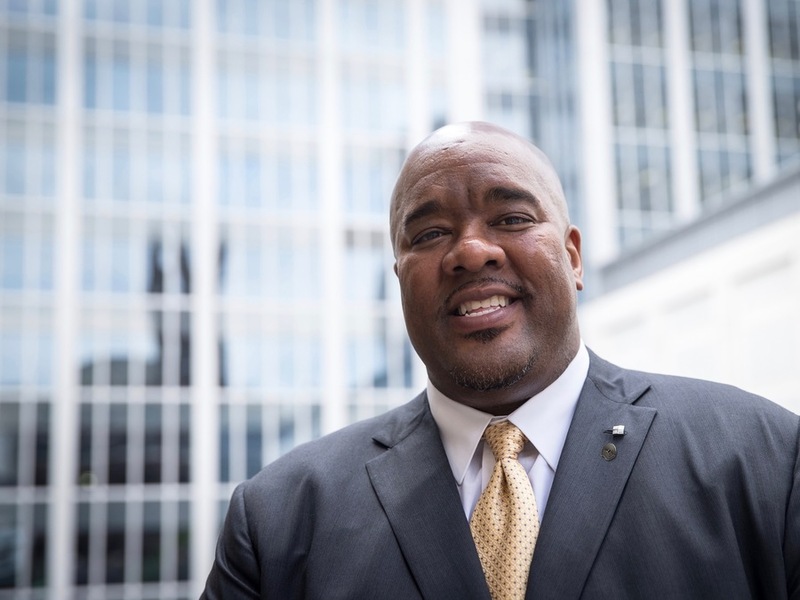 Because Johnson has not lived or worked in Cincinnati before, he will need to spend time learning about the community and listening to United Way’s many different stakeholders, Poston said. But he has worked in other communities across the country and is known for his ability to connect easily with the communities where he works, she said. Johnson said he is eager to start work in Cincinnati. He, his wife, Toya Johnson, and their 13-year-old son, 7-year-old daughter and 4-year-old daughter spent this past weekend looking for a home. They went to a Cincinnati Reds game while they were here, he said, and the whole family enjoyed the city. Johnson said he looks forward to getting to know Cincinnati’s neighborhoods and the people United Way’s new initiative aims to help. Listening to families will be a key to success, he said, along with a focus on education partnerships and aligning all of the agencies that get funding from United Way to make sure everyone is working cooperatively toward the same goals. More information about United Way of Greater Cincinnati is available online .